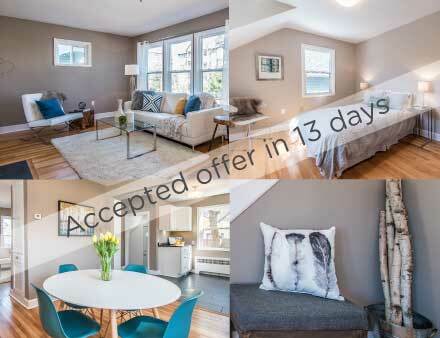 We were so excited to hear from our clients and realtor that they had an offer the first day of going on the market! We loved this house too so we weren’t surprised. 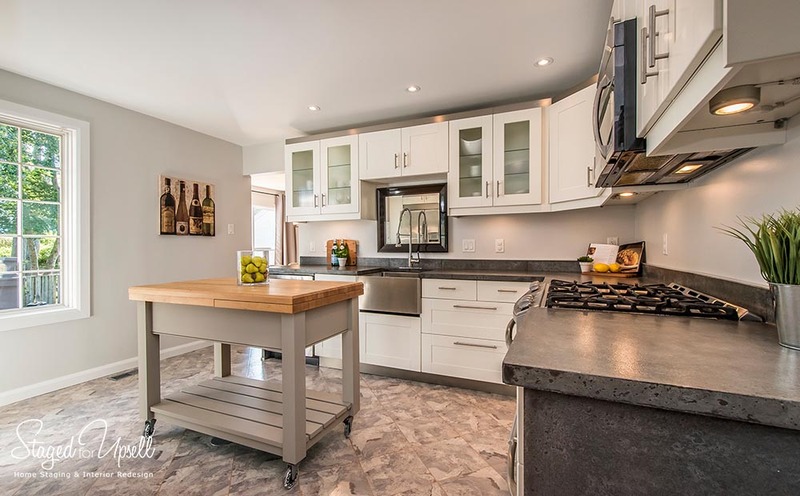 What’s interesting about this one is that we’re told the buyers were looking out in Tantallon and other outlying areas of the city and had viewed over 40 homes at the time. This home is located in the Purcell’s Cove area, near the Dingle. The day this one came on the market the buyers viewed it and offered immediately. We’re told they offered $5,000 less, but the sellers countered at full price and the buyers agreed! We love what we do! Author joannalane01Posted on September 2, 2016 Categories house staging, News, real estate staging, Staging for vacant properties, Staging your home for sale, Vacant home stagingLeave a comment on Sold in 1 day! It’s time to sell your home. You have a friend that is good at decorating, so you think you’ll have them help you with staging your home. Good idea or bad? First of all there is a difference between staging your home for sale, and decorating your home to live in it. What does a home stager bring to the table that your friend can’t? Lots! 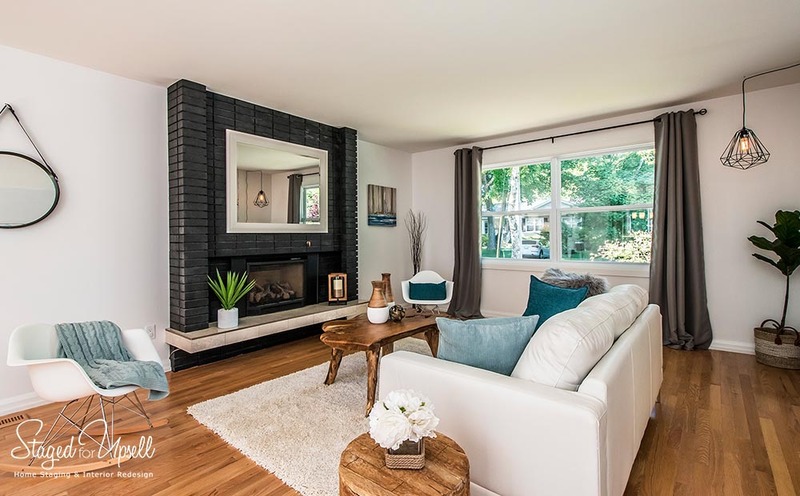 Although we do both at Staged for Upsell, decorating is very different from helping a home owner prepare their home for sale. A home stager is trained to know exactly how much furniture a room should have amply show its space to the fullest. Space is money when selling your home. A home stager also knows how to arrange furniture to optimize flow and functionality in a home. Oftentimes home owners are using their home in the best way that ‘functionally’ suits their personal needs. Unfortunately when selling your home, it’s no longer about you, it’s about the buyers. Therefore, sometimes there is some adjustments that need to be made. 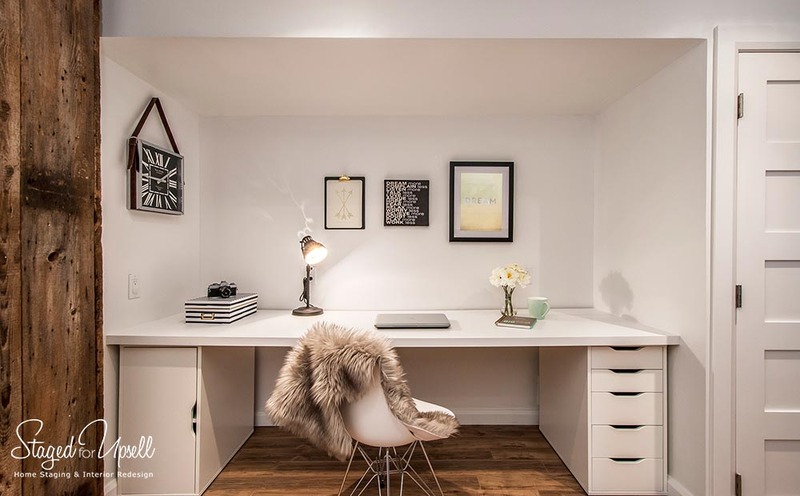 A home stager can quickly access a room to determine the level of de-cluttering and exactly what needs to be de-cluttered, grouped, sorted, re-arranged, etc. to show the room at its best. Less is always more when selling your home. Whereas with decorating we’re often adding accessories and filling the space. I’m always telling clients if it’s not adding value to the room, take it away. A home stager knows what’s important to buyers and what’s crucial to modify. An example? I often find clients using a spare closet in a room outside the kitchen as storage for some of their food. This is a red flag to buyers! They’re immediately thinking “there’s not enough kitchen cupboard space!” and they’re immediately back in the kitchen fretting over this. This could be a deal breaker for many buyers. 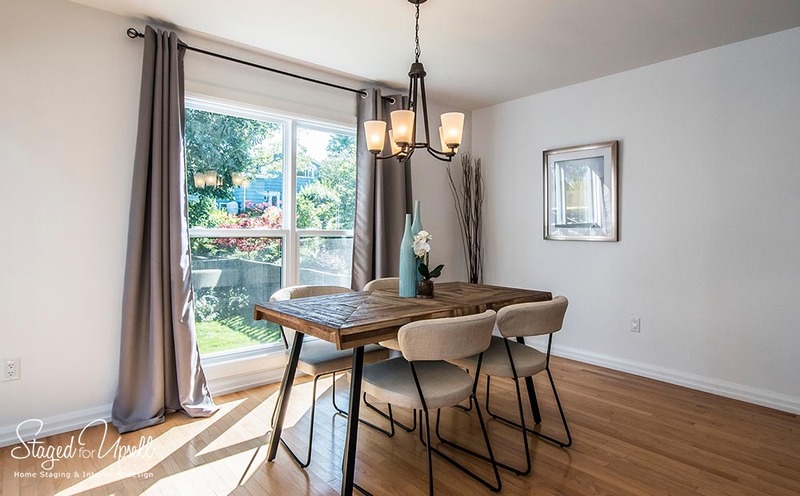 This is just one example of the value a home stager brings in their training that a friend that is good at decorating doesn’t bring to the table. Hiring a home stager for a consultation when selling your home isn’t expensive. Most home stagers are charging approximately $150 for a two hour consultation. My clients are always amazed at the difference that the two hour consultation can make. A home staging consultation is an invaluable step when selling your home. Even if you don’t need ‘full’ staging services consider the consultation. Having your friend help may save you money, but it may cost you a hefty price reduction. Are you willing to take the chance? We love when we get word from clients that they’ve got an accepted offer! We also love it when it’s a quick sale. 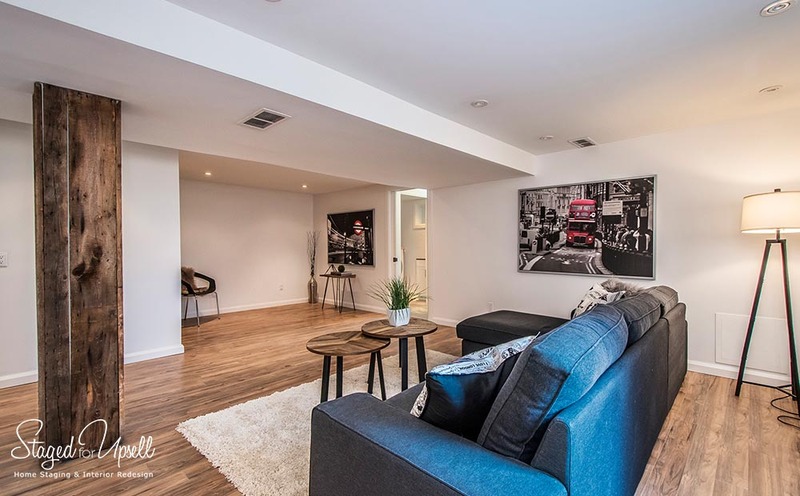 With most of our staged properties selling quickly, most within 15 days, we weren’t surprised when this one sold in 3 days. 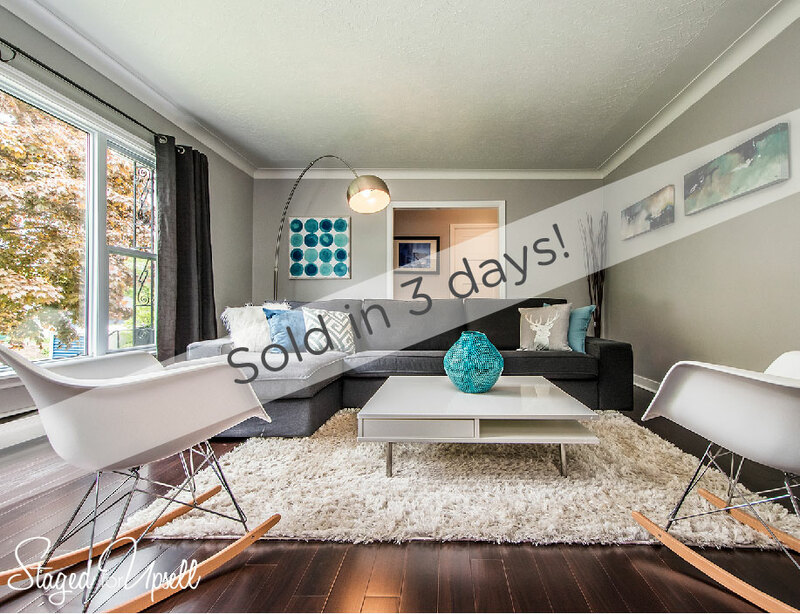 Happy home staging clients – Sold in 3 days! This home was what we called an occupied property, the owners were still living in the home. They had some great furniture pieces, but needed some help putting the finishing touches on the space. Having furniture in the space isn’t enough, it’s the finishing touches that create an intimate, cozy atmosphere in the home. The clients were relocating to another province for work. Not only did they want top dollar for their home, they also wanted a quick sale. Accessorizing with the great furniture pieces they already had we created some wow factor. I guess the proof is in the results – they sold in 3 days! Author joannalane01Posted on July 11, 2016 Categories home staging, house staging, News, real estate stagingLeave a comment on Sold in 3 days!